Body of retired bank official and a leprosy patient for a long time was carried by his daughter to carry the body along with her brother Sanjib and her husband to the village cremation ground for funeral. 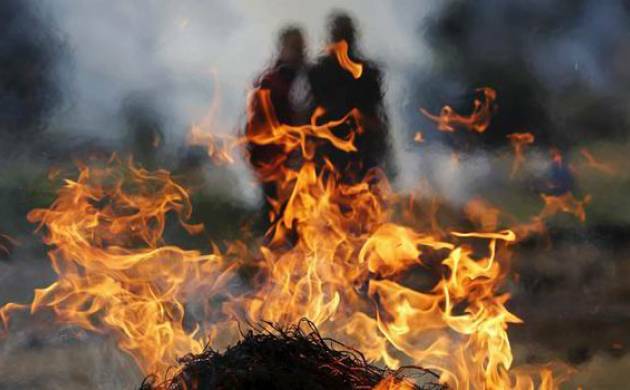 A 60-year-old man suffering from leprosy before he passed away was denied proper cremation ceremony in Odisha's Boudh district as neighbour's refused helping hand. “People of our own caste had shunned us due to our father’s leprosy. As no one helped us we were forced to do the last rites alone. Only the sarpanch of Manmunda helped us with Rs 2000,” said Sanjib Sahoo, son of the deceased. As per reports, Jayanarayan was afflicted with leprosy but was cured after necessary treatment more than a decade and half back. He has also issued a Leprosy Negative certificate. However, Jayanarayan stayed in isolation and rarely came out of the house due to the social stigma attached to the disease.